Located at 363 Park Ave., Wilkes Barre, PA., Holy Rosary Parish was closed on June 13, 2010. This drawing was commissioned by thoughtful and caring children for their loving parents who were married in the parish. I hope it is a very memorable wedding anniversary gift that they will cherish forever. 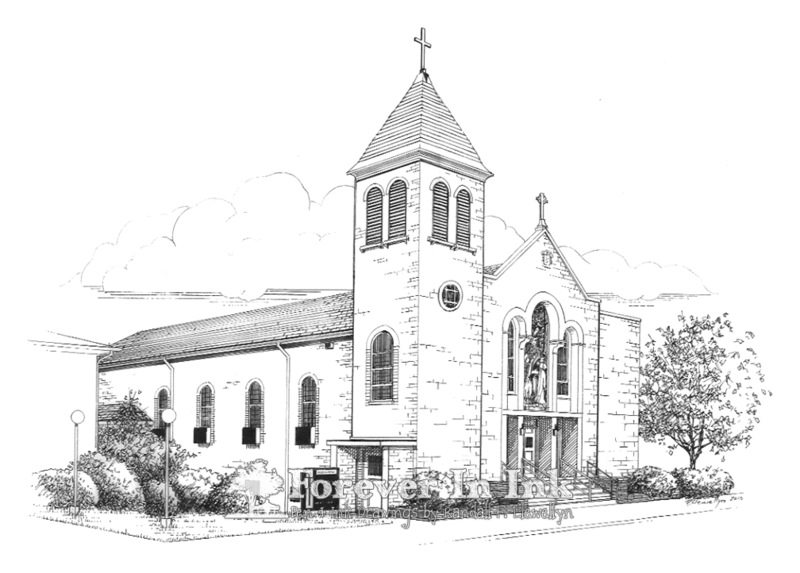 This entry was posted in Artwork and tagged 1st Presbyterian Church, Church, Drawing, Hawley PA, Line Art, Pen & Ink, Pen and ink, Pennsylvania, Presbyterian. Bookmark the permalink.